Today is reveal day for Simon Says Stamp's annual DieCember Release and this year's release is FABULOUS!!! Before I go, I thought I'd share a card made using a previously released die from Simon Says Stamp. 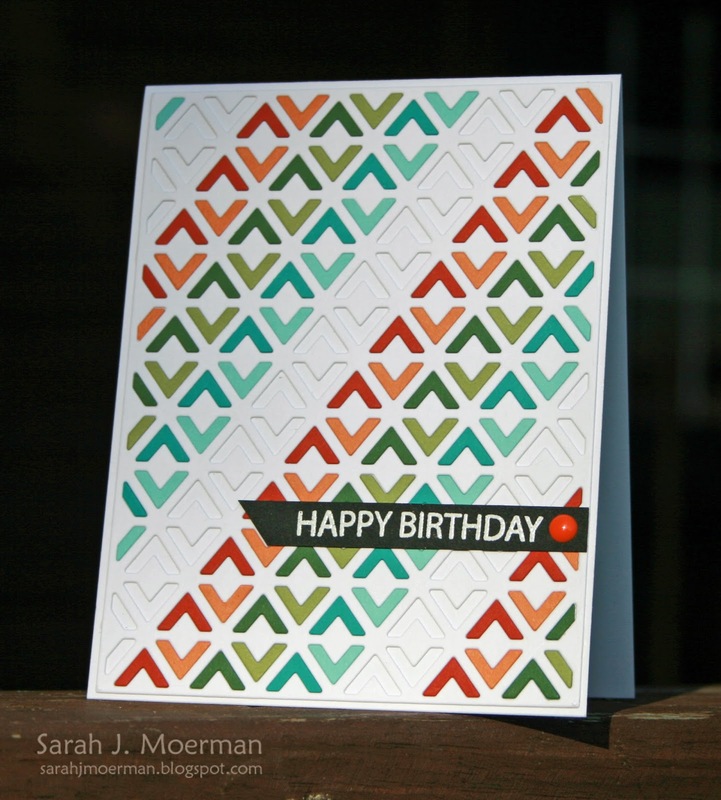 I LOVE backgrounds (especially patterns) - in both stamp and die form. It's so much fun to play with the patterns in different ways. ...and HERE's another card using this same die for a card that looks a lot different. Thanks for stopping by! Happy DieCember! Ooh, what a fun and graphic design on this card! I love the rows of colors!! It's always a joy coming here and seeing your fabulous creations!! Wow, such patience to put all those pieces back in! Love the mix of colors, too!